But then some bloggers reviewing the book starting mentioning how creepy it was. In Rayborn Rambles' review it says, "you might struggle with the battle between wanting to hide under the covers...But this book is so well written and suspenseful, you can't put it down." 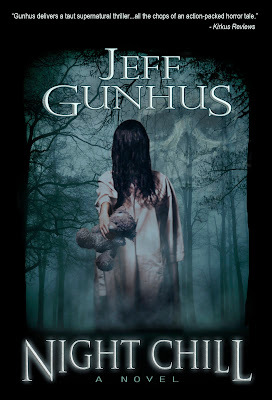 Then there is Jeff's description at Amazon about how Night Chill is scary, in the "being home alone, the doors locked for the night, the kids asleep and, just as you close your eyes, you hear the creak of a floorboard downstairs. Followed by another. And another" kind of way. I'm just not sure I can handle it. I'm a big wuss. Seriously, here's some stuff that scares me. Bunnicula (when I was little my sister made a deal with me to read it. I can't remember what I would get in return, but I couldn't make it past the red glowing eyes. My nephew laughed at me when I told him I couldn't read it). The Godric's Hollow scene in the movie version of Deathly Hallows, particularly the part where the snake strikes towards the screen. I jump EVERY. SINGLE. TIME. Now that you know a few of the things that scare me, I have a BIG favor to ask. Can you read Night Chill and tell me if it will give me nightmares? 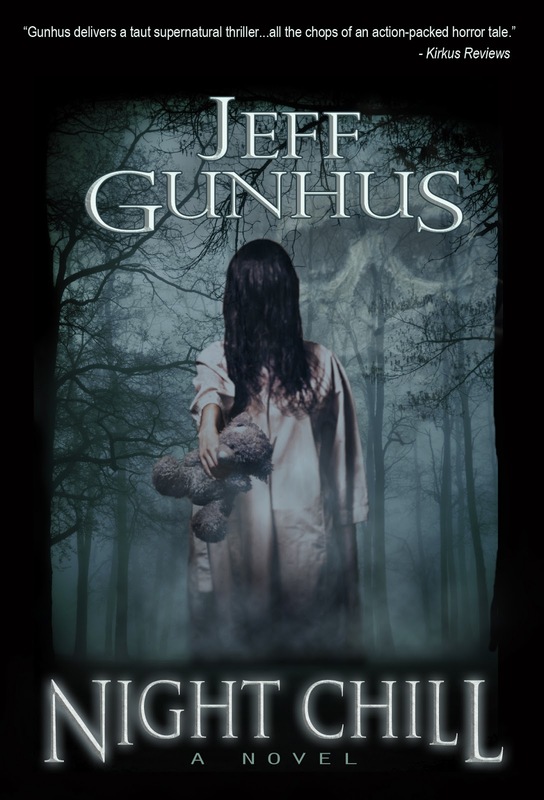 The ebook is only 99 cents this week. I really don't want to miss out on a great book, but I can't afford any more sleepless nights. Please, will you read it for me? This post is part of a paid GWR Publicity tour and as owner of GWR Publicity compensation was received for organizing the tour. Girl Who Reads is an Amazon advertising affiliate; a small fee is earned when purchases are made at Amazon through the links above. I am reading it right now! Not too far into it so I'm not reading anything too scary right now. I'll be back to tell ya what I think!